The market of San Francisco de Alto. The belts are produced on wool, cotton and more rarely silk background, and are decorated with brocaded or embroidered motifs. 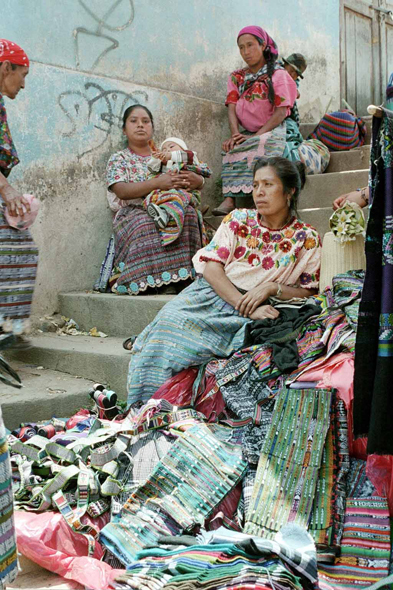 The colors and the way in which the belts are carried vary according to villages.